It was that one day at the 2004 Olympics when the face of Indian sport changed for the better. Lakshmi Mittal, the richest man in Asia and Europe, and owner of the largest steel-making company in the world with a personal fortune of nearly US $20 billion, was so disappointed by Indian athletes' poor showing at the Games that he vowed to do something for the country of his birth. Along with his son-in-law, Amit Bhatia, he set up the Mittal Champions Trust in 2005 with the vision of producing world-class Indian sportspersons. For years later, the trust, managed by former Indian women's tennis player Manisha Malhotra, sort of achieved what it set out to in the form of Abhinav Bindra winning the country's first ever individual gold medal at the Beijing Olympics. Now, four years down the line there are 16 athletes from their trust participating in the 2012 Olympics. On Tuesday, the Mittals organized a small function for the Indian Olympic contingent in London to wish the athletes good luck. On the sidelines of the event, Harish Kotian caught up with Mr Bhatia to find out more about his involvement with the trust and expectations from Indian athletes at the Games. Are you happy with the way the Mittal Champions Trust has evolved over the years? What was the vision behind starting such a trust for a country where Olympic sports are not followed that closely? It was set up in 2005, and it was the vision of my father-in-law, in order to give Indian athletes a better chance of success at the Olympic Games. Since 2005 till now we have had a lot of success. Today we have supported around 40 athletes, out of which 16 have qualified for the London Games. We are hoping that we have some degree of success at this Olympics as far as our athletes are concerned; if they do, then that will be wonderful for us; it will also bring a lot of pride to our nation. Having seen how your athletes have prepared for the Olympics, are you hoping for a few medals from the Games? Of course, we would love to win a few medals at the London Games, but I think we have to set our expectations realistically. 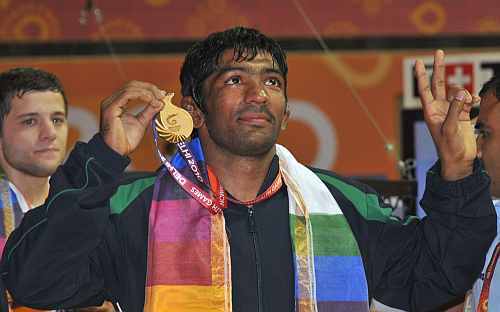 At the end of the day, if Mittal athletes win a few medals, even if they are not gold, it will be very pleasing. At the end it is important how the whole country performs at the Games. As far as our trust is concerned, we can contribute to that. Manisha Malhotra manages the trust for us in India. I speak to Manisha a lot, sometimes every day, sometimes on a weekly basis. Whenever there is some decision to make or some guidance needed, I am always there to help with those decisions; so I am very involved. How involved is Lakshmi Mittal with the MCT? Does he involve himself regularly with the working of the trust or is it more of a passionate involvement? He is involved big time. Every time there is a major decision to make -- like if we have to sign some athlete or other big decision -- he is at the top of everything, all the time. 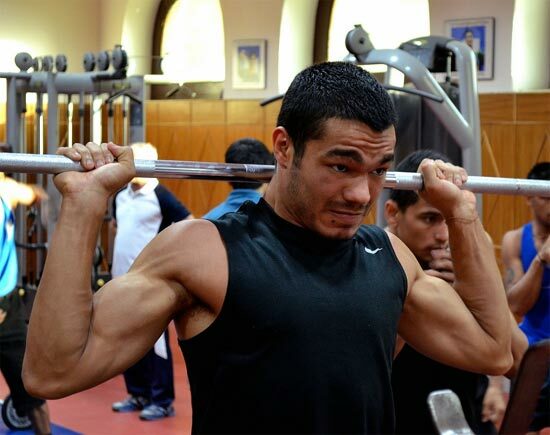 A lot of young athletes from the MCT have qualified for the Olympics -- like Sumit Sangwan and Vikas Yadav -- and they are not even 20. That must be quite encouraging? Yes, that is very encouraging. When Ronjan Sodhi joined us six years ago he had not won a single medal at any event. 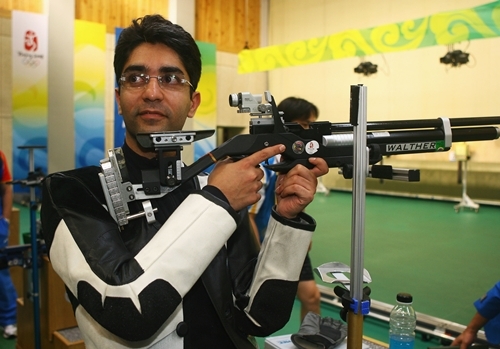 Today he is one of the top shooters in the world and has won so many medals in international events in the last few years. So that goes to show that private initiatives can really help athletes succeed and help them do very well. Will you and your father-in-law take time off from your busy schedule and watch the Games closely by going to the stadiums? Yes, we will definitely follow it closely. In fact, we are going to see every event in which our athletes are involved. Are you hopeful that this will be India's best medal haul at an Olympic Games after such encouraging performances by our athletes leading up to the Games? I hope and pray that we do well. But whatever happens, at the end of the day, we will be very proud of ourselves.